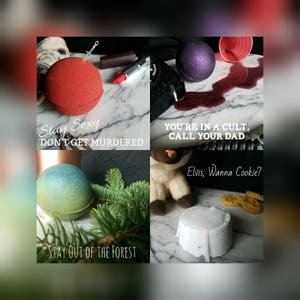 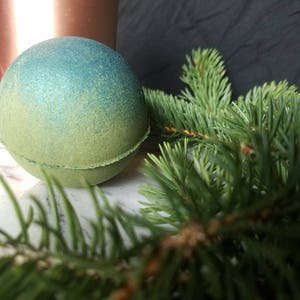 This bath bomb is inspired by the podcast My Favorite Murder hosted by Georgia Hardstark and Karen Kilgariff. 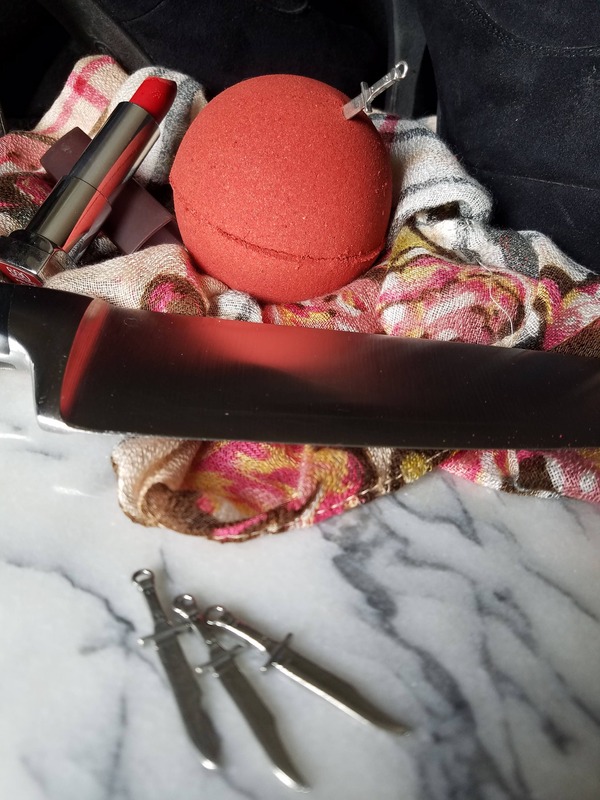 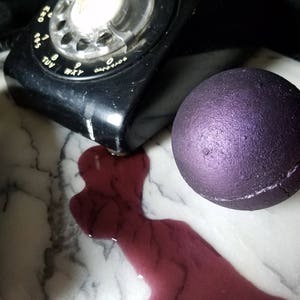 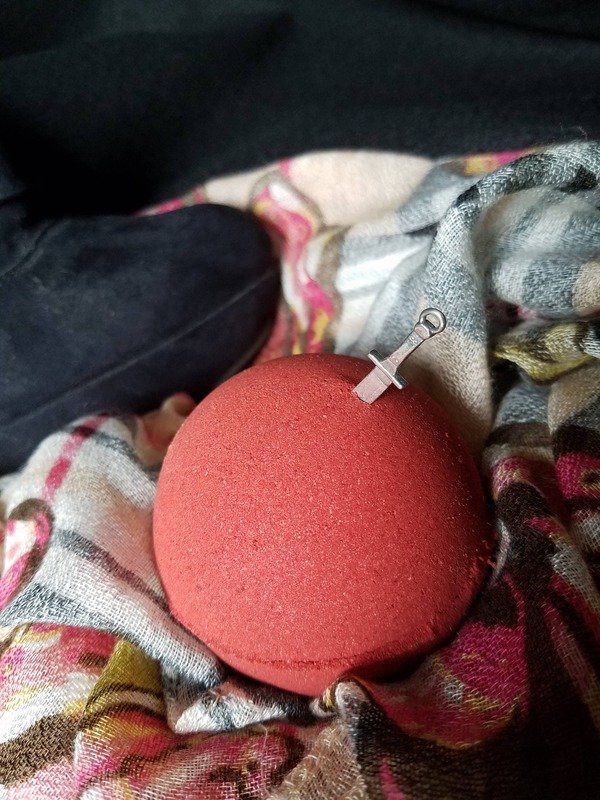 This blood red bath bomb will make your tub a deep red and is scented to smell just like a cabernet sauvignon, leaving you feeling luxurious in a murder tub! 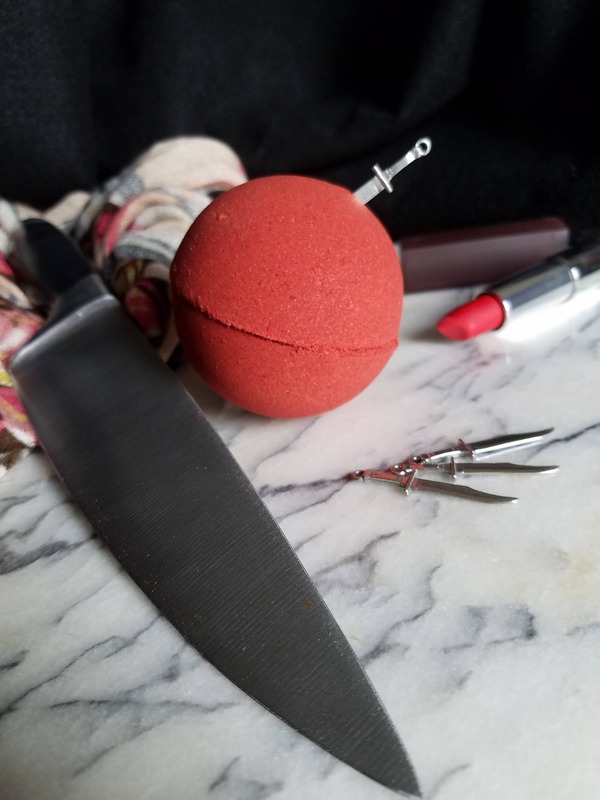 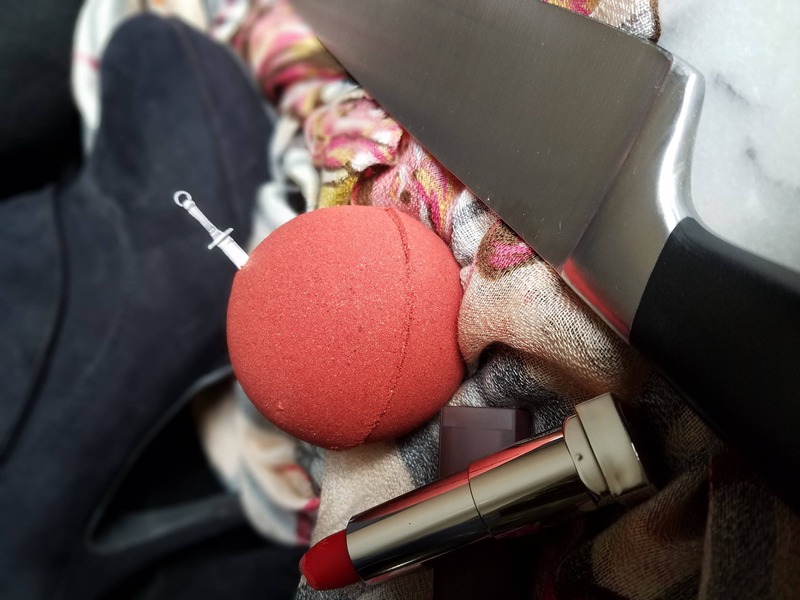 It also comes with a small pewter knife charm stabbed into it that you can put on a necklace, key ring, charm bracelet, or basically anywhere else you can think (please just don't stab anyone with it)! 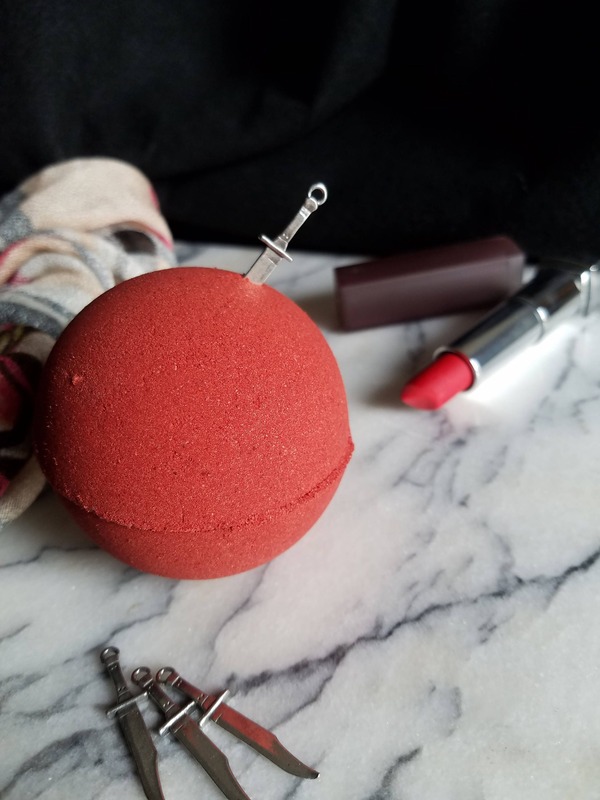 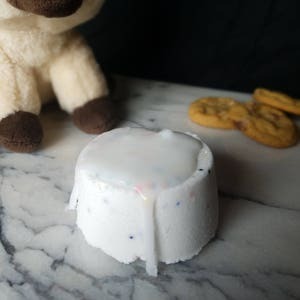 This listing is for one bath bomb that is approximately 2.75" in diameter complete with a small pewter knife charm.